The hills are dancing with painted leaves. Autumn color is cresting like a wave through the countryside. The sun sends shafts through the clouds and lights the leaves between the shadows. I tell the kids to hold on to this in their memories. They have grown up here and this has become their October expectation. So I toss out some reminders . . .
My parents come for a visit. They were here in the fall of1964, back when they didn’t know what the future held. Now they are back and holding hands with us, walking down a path with their grandchildren. Life comes full circle before we know it. 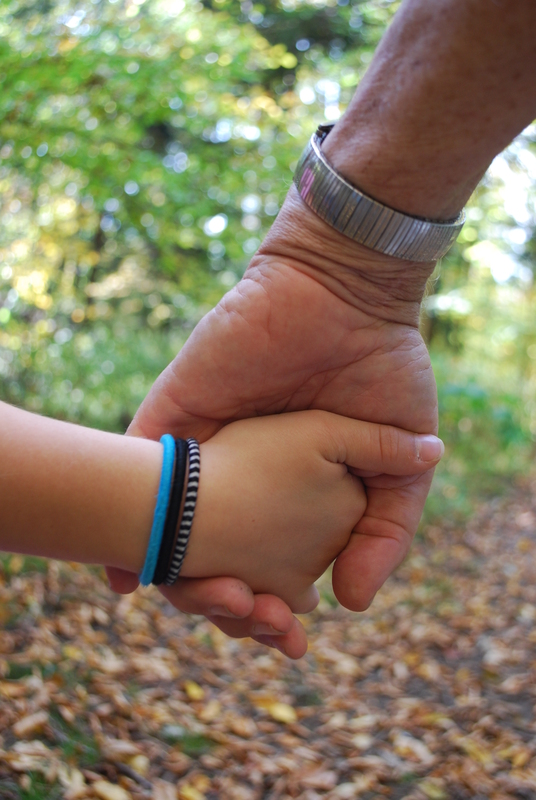 I run up the trail to capture this moment–a still-small hand clasped together with her grandfather’s. I want it to last forever, but all too soon there is the hard good-bye, and they drive up the hill and blow kisses. All of the goodness of the week–the beautiful weather, the evanescent glory of “peak color,” the warmth of family love–it is all gift. And my heart is full with the sweetness of these gifts, lavished in grace by the Giver of all good things. This entry was posted in Family, Grandparents, Seasons. Bookmark the permalink. Such precious memories, Julie. Thank you, Lord, for your lavish gifts! Oh, I’m so happy you and your children had this moment together with your parents. Love the photos! 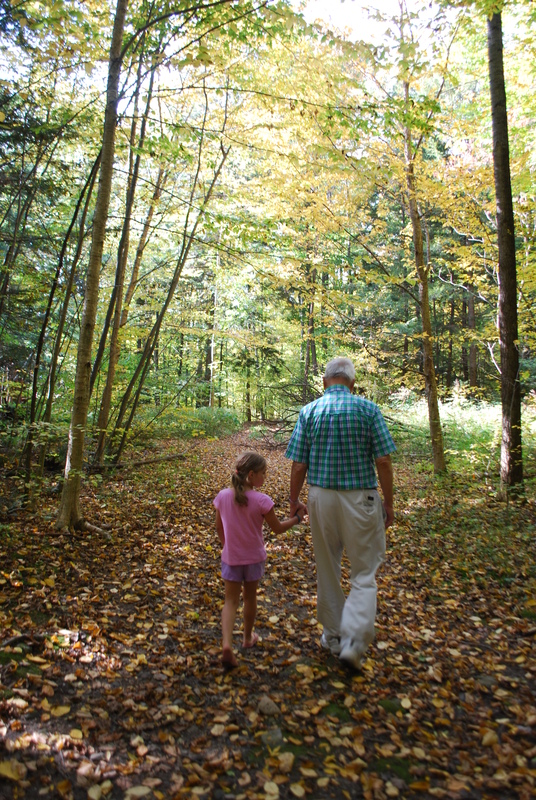 One of my favorite views is watching my husband walk hand-in-hand with our grandchildren. It’s such a precious sight, and a sweet, sweet moment. God is good.